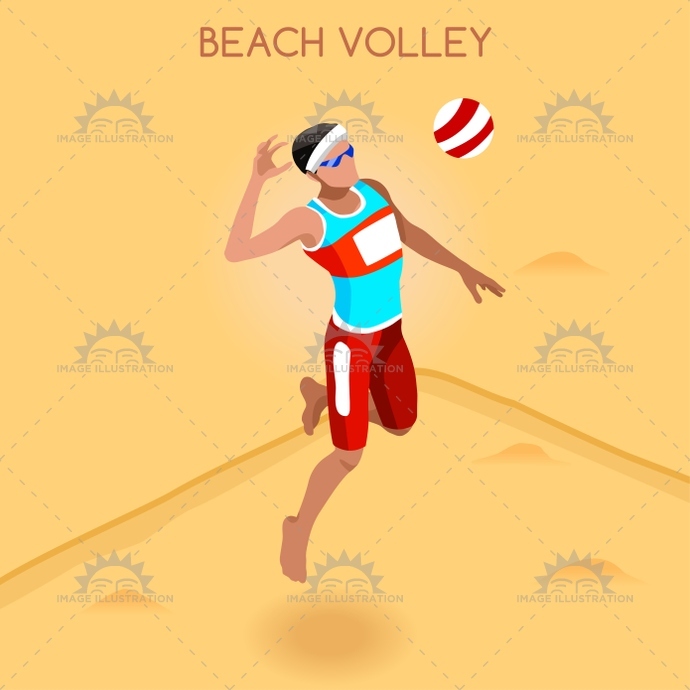 Stock product - detailed vector illustration - Illustrat Vector Collection - Volleyball Beach 2016 Summer Games Isometric 3D - created by Aurielaki. Image formats EPS AI JPG. SKU: Volleyball-Beach-2016-Summer-Games-Isometric-3D-Vector-Illustration-AurielAki. Category: Olympics Sports. Tags: 2016, 3d, advantage, background, beach, beach volley, beachvolley, cardboard, cartoon, champion, championship, character, competition, competitive, concept, court, design, flat, games, icon, illustration, infographic, international, isolated, isometric, logo, man, match, net, people, play, player, poster, sand, silhouette, smash, spike, sport, summer, symbol, vector, volley, volleyball, web.